Jill Maura Rabin, MD, is professor of Obstetrics and Gynecology and co-director of the Advanced Clinical Experience (ACE) in Obstetrics and Gynecology at the Zucker School of Medicine, and co-chief of the Division of Ambulatory Care, Women’s Health Programs, PCAP Services at Northwell Health and Head of Urogynecology at Long Island Jewish Medical Center in New Hyde Park, New York. Dr. Rabin earned her MD from the State University of New York, Downstate Medical Center, in Brooklyn in 1981. She then served a residency in Obstetrics and Gynecology at the Albert Einstein College of Medicine until 1985, followed by a fellowship in Urogynecology at the Long Island Jewish Medical Center from 1989 to 1992. Dr. Rabin’s research ranges from basic science work (on estrogen receptor heterogeneity) to clinical (from various ambulatory care issues in Obstetrics and Gynecology to Urogynecology) as well as medical device development and testing (resulting in six patents and one copyright, to date). She is focusing on methods to improve efficacy, quality and patient safety in ambulatory care and in the ‘voltage change’ that occurs from the hospital to the outpatient setting. Bringing urinary incontinence to the fore of our national conscience is a passion and area of current research; an extrapolation of her clinical subspecialty of Urogynecology. Reducing the clinical impact of incontinence has the potential to vastly improve people’s lives (women in particular) and reduce healthcare costs associated with this condition (currently nearly thirty billion dollars per year). Dr. Rabin has a long-standing interest in the emotional health and well-being of women of reproductive age/pregnant and postpartum and have worked clinically with Northwell’s Ambulatory Psychiatry Team and Dr. Tina Walch regarding these perinatal mood/postpartum issues. The team issued clinical material for patients and their caregivers in this regard, including two videos-‘Why am I Blue?’ and “Ask the Question” as well as “It’s You and Me Baby”, a guide for patients and their families on preconceptional counseling and prenatal care. In addition, Dr. Rabin is interested in the role periodontal health impacts on Perinatal course and postpartum outcome and have helped to develop a program for all pregnant women at Long Island Jewish Medical Center. This program targets those who have oral health needs who have not seen a dentist with the past six months and refers them to a dental office for needed dental and periodontal care. Scientific presentations have included issues pertaining to women’s health, treatment of urinary incontinence and pelvic organ prolapse, as well as medical and surgical device development and results of trials. Various venues include local, national and international scientific meetings as well as radio, television, internet and print media. Dr. Rabin also holds an online presence through her website ‘mindoverbladderbooks.com’ and via social media (YouTube, etc) posting health education videos via Northwell Public Relations division. A Diplomate of the American Board of Obstetrics and Gynecology, Dr. Rabin is a reviewer for several peer-reviewed medical journals including the American Journal of Obstetrics and Gynecology and the International Urogynecologic Journal. She is a member of several professional organizations, including the American Urogynecologic Society and the International Continence Society. In addition, she is an active researcher, consultant, frequently invited lecturer and media spokesperson. Dr. Rabin is a practicing urogynecologist that has authored peer-reviewed papers in addition to three books on women’s health including “Mind Over Bladder,” a step-by-step guide to continence, and holds several patents for medical devices designed to increase safety and comfort for patients and their physicians. Major areas of interest for her publications/papers include ambulatory care and women’s health (breast cancer, adolescent and adult health and comprehensive health programs), urogynecology, medical education and medical device research and development. Particular interests are the development and implementation of a graduate medical ambulatory curriculum in Obstetrics and Gynecology as well as a multi-dimensional, integrated curriculum in Obstetrics and Gynecology for the undergraduate medical student. 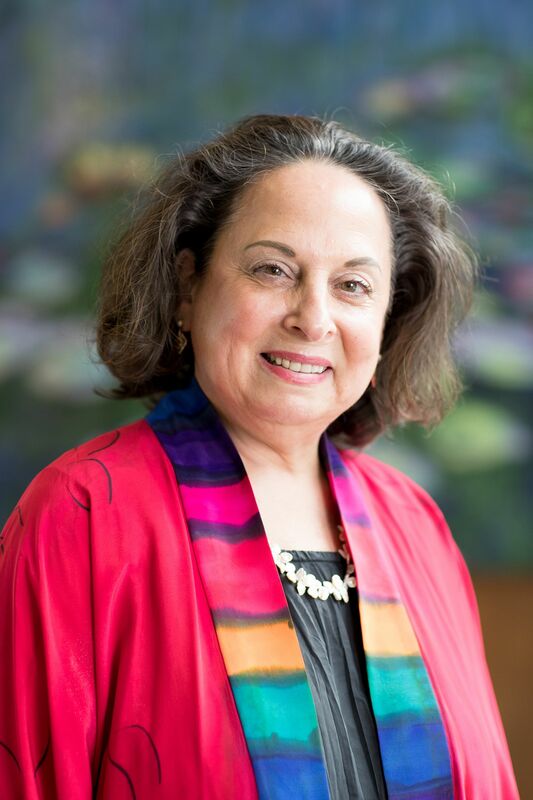 Beyond her day-to-day research in the medical field, music has also played a key role in Dr. Rabin’s life for as long as she can remember; she has held a student pulpit as Cantor of Congregation Adath Israel, in Newtown, Connecticut for more than twenty years. Rabin JM, Seltzer V, Pollack S. “The Long Term Benefits of a Comprehensive Teenage Pregnancy Program.” Clin Pediatr 1991;30(5):305-309. Rabin JM, Seltzer V, Pollack S. “The Benefits of a Comprehensive Teenage Pregnancy Program.” Am J of Gynecol Health 1992; 6(3):66-74. Seltzer V, Rabin JM, Benjamin F. “Teenager’s Awareness of AIDS and the Impact on Their Sexual Behavior.” Obstet Gynecol 1989; 74(1):55-59. Rabin JM, Hall, C. “What the practicing psychiatrist needs to know about urinary incontinence.” Med Update Psychiatr 1996;1(2):71-76.